The owner of block of flats was prosecuted after a Health and Safety Executive (HSE) inspection identified serious safety breaches while it was being demolished. Westminster Magistrates’ Court heard that a member of the public raised concerns about the conditions at the site at 60 Pitcairn Road, Mitcham. Selliah Sivaneswaran was the owner of the property, but had failed to make appropriate appointments for the development project. The site had been inspected by HSE in October 2016 and the work halted due to the workers being exposed to a range of risks including exposure to asbestos, falling from height, and fire. HSE revisited the site on 4 January 2017 and found the work had restarted while the site was still unsafe, despite enforcement notices being served and advice being provided. 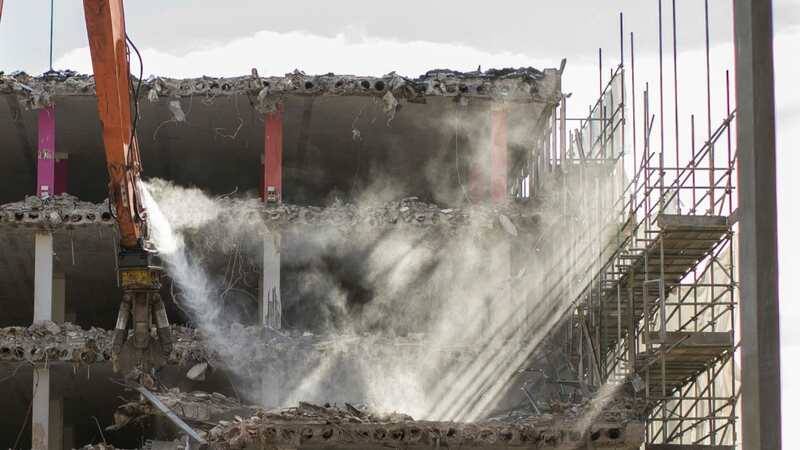 The demolition continued to be carried out by hand with workers climbing onto the unguarded roof and throwing the debris down. Workers were at risk of falling up to four metres through holes in the floors and partly demolished staircase. No welfare facilities had been provided and there was a significant risk of fire with the workers not being able to escape. The Court heard that two days before the sentencing hearing, HSE had to return to the site and take further action. The project involved the demolition of the old flats and the construction of four one-bedroom flats and two two-bedroom flats on a site bought for £115,000 in 2001. The Court heard that despite the foreseeably large financial return from the project, Mr. Sivaneswaran put profit before safety and paid cash in hand to untrained workers, did not engage a site manager, and provided none of the legally-required site documentation. Selliah Sivguru Sivaneswaran of Harlyn Drive, Pinner pleaded guilty to breaching Regulation 13(1) and 4(1) of the Construction (Design and Management) Regulations 2015 (CDM) and was fined £200,000 and ordered to pay £1,421.20 in costs. HSE inspector Andrew Verrall-Withers commented after the hearing: “Mr. Sivaneswaran was a commercial client as he was carrying out work as part of a business. When he failed to appoint a principal contractor, their duties fell on him. “Thanks to a member of the public reporting the dangerous conditions HSE was able to take action. It was just good fortune that no one had been killed at the site”. “Instead of taking the support and advice provided by HSE, Mr. Sivaneswaran continued to let the workers operate in appalling conditions where they were at risk of being killed. He did not even provide them with a WC or washing facilities”.